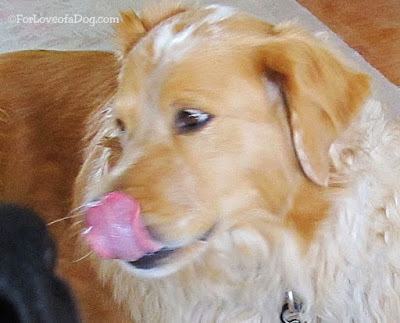 Jeffie, Rudy and Rosie are always ready to try new dog products. So they were enthusiastic when Chewy.com asked if they'd like to give some Merrick Jerky Chip dog treats a taste test. With Chewy's super fast shipping, in just a couple of days Jeffie got a chance to scare the FedEx man and take delivery of their package. Merrick Jerky Chip Treats are oven-baked, all-natural dog cookie treats filled with protein-packed jerky chips as the first ingredient, made from real deboned chicken, beef, lamb, or salmon. 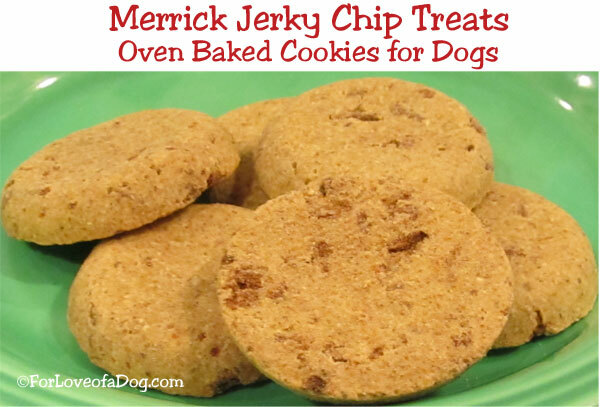 Unlike many dog treats, Merrick Jerky Chip Treats are grain-free and gluten-free with no corn, soy or wheat. 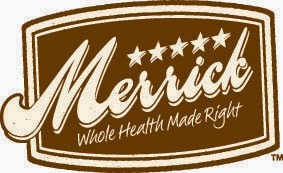 And, like all Merrick food and treats, Merrick Jerky Chip Treats are made in the USA with no ingredients from China. They come in four flavors: Real Beef, Real Chicken, Real Lamb + Potato, Real Salmon + Potato. We received a 10 oz bag of Real Chicken Recipe treats. Rudy was thrilled to get the first taste. Rosie demonstrates excellent treat begging focus. 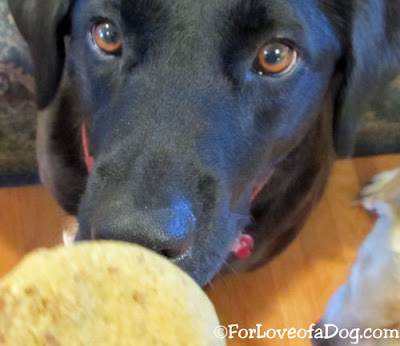 The dogs really do love these dog treats! They're generous in size (about 2" in diameter) and a bit high in calorie per treat, so I've been rationing them. However, that's the only cautionary note. I like that there are good healthy ingredients and that they're made in the US. 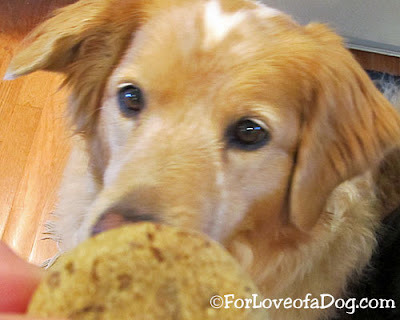 We first reviewed Chewy.com online pet products over 3 years ago. We loved them then and we still do. With over 300 brands of pet food and other pet products ready to ship with their super fast front door service, what's not to love. Living in a rural area, I especially appreciate that I can purchase brands and products I can't find locally. 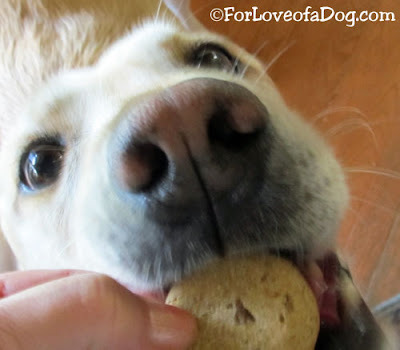 * We received one package of Merrick Jerky Chip Treats Oven-baked Cookies for Dogs from Chewy.com in exchange for our honest review of the product and service. I bet my goldens would LOVE those! Thanks for sharing! 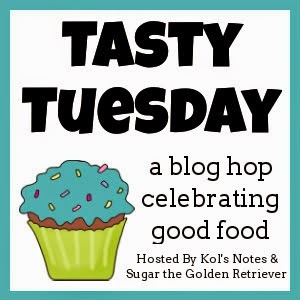 I don't remember which kind we had, but our crew loves these treats too! I like how they look like real cookies (better not put them in a cookie jar or humans might be fooled...LOL). Rita wanted me to stop by and say how handsome Jeffie is looking in his photo! She also says, Please give him the cookie NOW! He deserves it!" Those are my very favorite Merrick treats! Yum! Those look delicious. Thanks for the tip on the calories, we would ration them too. But they'd be perfect for special treats.